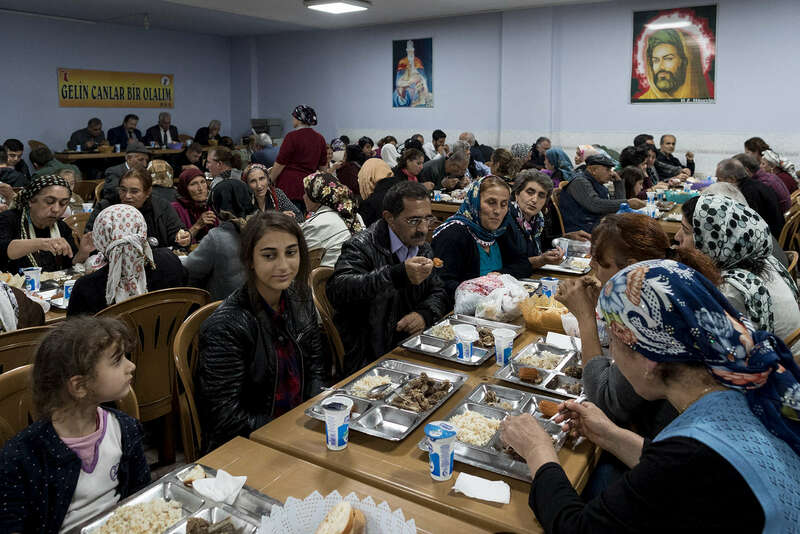 Turkey, 2017 - Alevis share a meal after a "cem". On the wall, the figure of Ali, son-in-law of Mahommet and founder of the sect. Branch of Shia Islam and Sufism, officially ignored by the Turkish authorities. They have no juridical recognition in Turkey.